Forceful let-down and oversupply are nearly synonymous. Can there really be too much liquid gold? 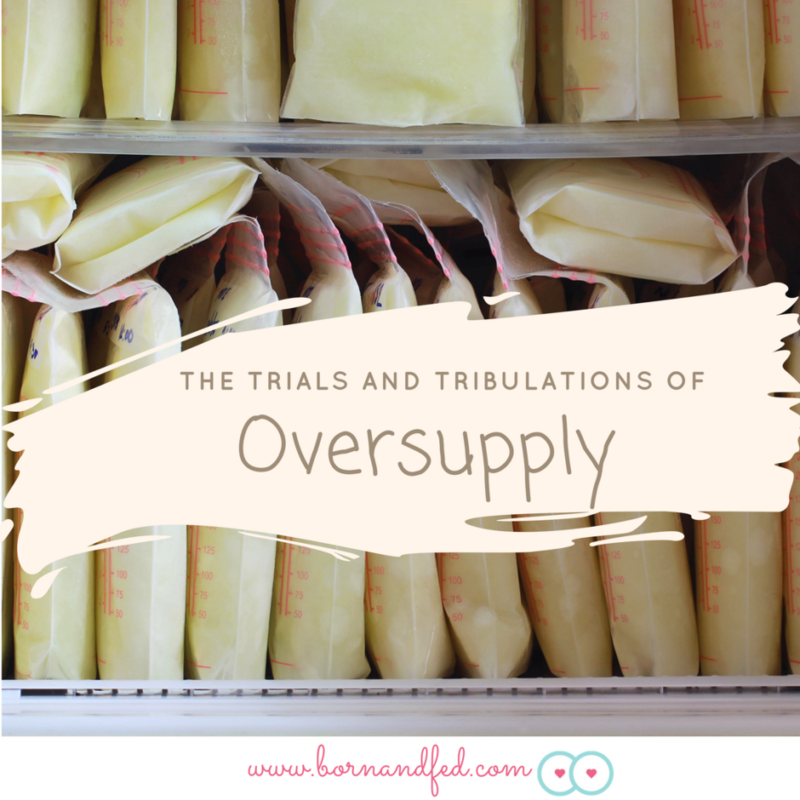 As someone who has personally experienced oversupply and its sequelae with both my children, I am here to tell you the costs outweigh any benefit of a freezer packed with frozen breastmilk. 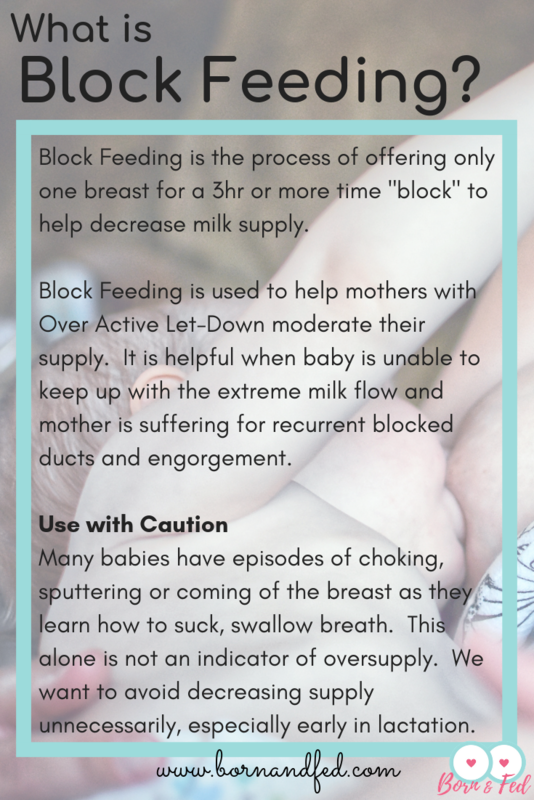 Oversupply is accompanied by a range of issues for both mother and infant that can take all the joy out of breastfeeding sometimes leading to early weaning. What does forceful letdown look like for baby? Become agitated during feeds. Feeds are not restful events but instead consist of lots of squirming, kicking or general unrest. Baby is sometimes labeled as a “greedy feeder. 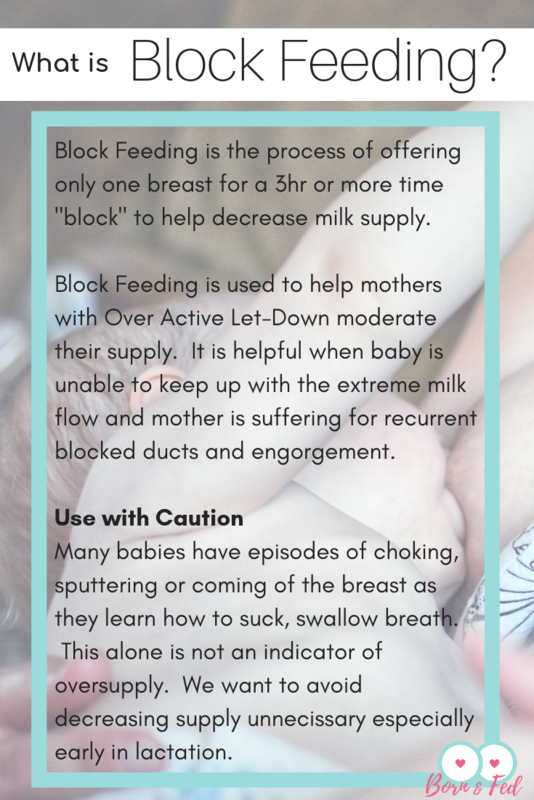 Forceful letdown can cause discomfort while nursing as baby tries to cope with the fast flow of milk by biting down to stanch the flow or come on and off the breast. For the mother who does not reach out and find support, many give up and quit breastfeeding prematurely. Forceful let-down and oversupply can be managed. It is lack of understanding and experience that leave many mothers feeling like there are no options. Beyond impairing the breastfeeding process at it’s most basic level, these babies are often gassy colicky babies. I do not like the term colicky because I think it is too often used as a passive label instead of trying to find the root of why a baby has long inconsolable crying spells. Yet, it is a term most people can relate to when trying to describe a generally unhappy baby. One of the reasons these babies tend to be uncomfortable is because they swallow a lot of air during feeds while they are trying to cope with the fast flow of breastmilk. This is known as aerophagia and is generally the result of a shallow latch. As a coping mechanism, these infants cope with overflow by coming on and off frequently to allow time to swallow and come up for air. Too much swallowed air can give the infant gas and exacerbate infant reflux symptoms. It was also thought that foremilk/hindmilk imbalance was a contributing factor to infant GI upset. Foremilk/hindmilk imbalance will actually be a separate post you can review in the near future. Briefly, breastmilk composition changes during a breastfeed. It was understood that early in the feed, breast milk tends to be thinner and more sugary. This is known as the foremilk. As the feed progresses, the milk’s fat concentration increases. This milk is known as the hindmilk. This over simplification of how our body regulates milk composition throughout a feed and really throughout each day does not adequately portray how to ensure baby gets enough milk fat in a day. Coaxing the baby to feed longer does not ensure an increased intake of hindmilk. There is much debate on this topic but the general consensus is that this is looking like an antiquated view and may not be the culprit behind the infant’s GI upset. 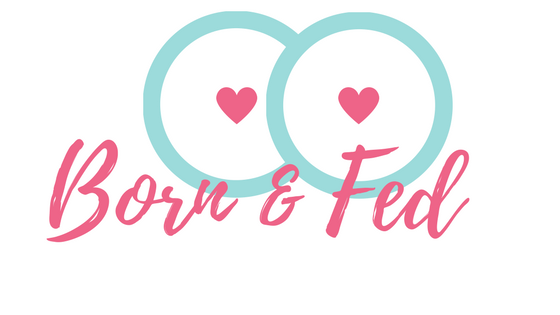 So does my baby have reflux? More likely than not, the origin of much of baby’s discomfort is that forceful let-down exacerbates symptoms of infant reflux. When a baby eats and swallows large amounts of air, the contents are prone to come back up. Most will eventually outgrow this proclivity as mom’s milk supply streamlines and baby’s esophageal sphincter matures and becomes more proficient at keeping stomach contents where they belong. For others, managing mother’s oversupply is only one piece of the puzzle. 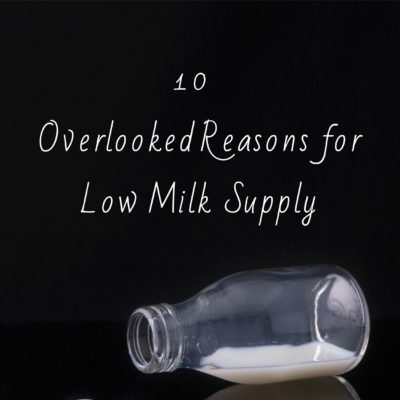 There are many methods that can help mothers manage oversupply and forceful let-down. Always start with the least invasive interventions before attempting to reduce supply. Many mothers will experience some of these symptoms early in their lactation cycle as their body regulates milk supply. It is normal for baby to occasionally cough and sputter during a feed. Invention is needed if the infant is falling into the discomfort cycle mentioned earlier OR if mother is suffering from conditions associated with severe engorgement. There are a many different reasons a baby can be gassy. Tongue tie, shallow latch, forceful letdown, or poor burping habits to name just a few. Babies are sedentary and not able to get gas moving by themselves. They are dependent on us to help perform this rudimentary task. If you have a baby with a belly ache, try this ritual. This simple tummy massage technique can help move gasses through the GI track with a few quick motions. Get a warm pack and place on baby’s belly (be sure it is not directly on skin and not hot). Start by gently bicycle the baby’s legs. 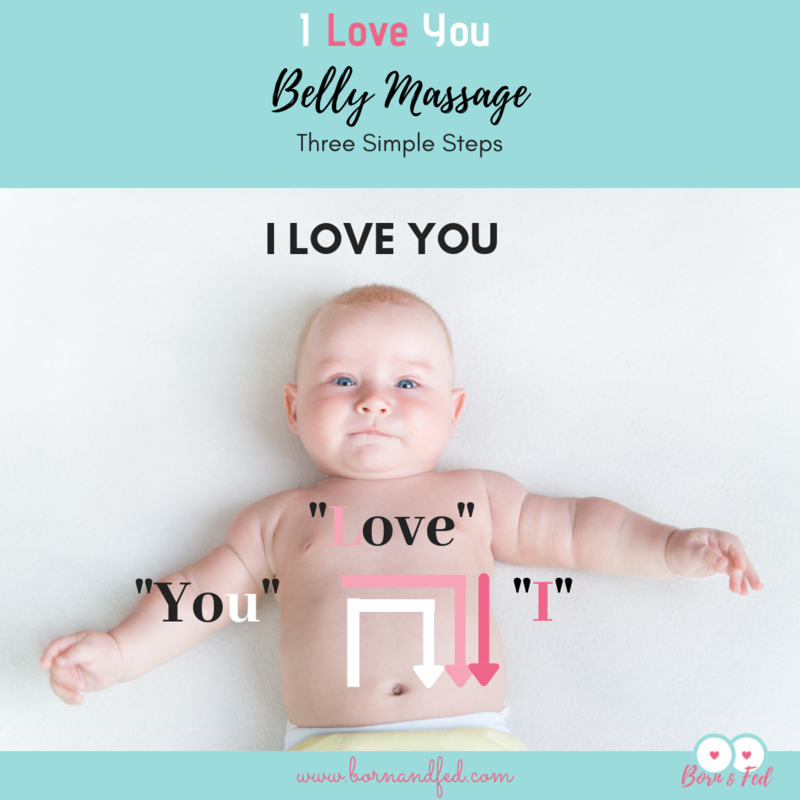 Then with gentle but firm pressure, trace “I Love You” on your baby’s abdomen . This mirrors the progress of the GI tract and helps move gas through. Next, I use all four fingers and use the same gentle but firm pressure massaging from the top of abdomen down with alternating hands. Repeat the cycle starting with bicycling the legs as needed. Some variations to try…intersperse bicycling with gentling taking your baby’s feet and pushing the knees up into the belly and then extending the legs back down slowly over and over again. This gentle up and down motion tends to be a baby favorite! If you have a reflux baby that can’t lay down, hold the baby facing out against your front. With one arm support baby and with other take the feet and work the legs in the same up and down motion described above. Being upright is beneficial for these babies and working the legs while walking can help relieve some colic symptoms while getting the stomach contents to empty. If you notice your infant consistently choking, gagging, or seeming to struggle to keep up with let-down, the first intervention I recommend is trying some different breastfeeding positions that allow gravity to work on your side. Avoid positions where the infant is on it’s back and milk is flowing downward. This exacerbates the problem when they are unable to keep up with milk flow. Try “uphill nursing” positions where baby is on top or vertical during feeds such as the laid back position. Side lying is also an excellent position that allows baby to come on and off the breast as needed to help regulate their intake. Another helpful method is to initiate letdown before applying the baby to the breast. Pumping or hand expressing until let-down is achieved helps avoid the initial surge. 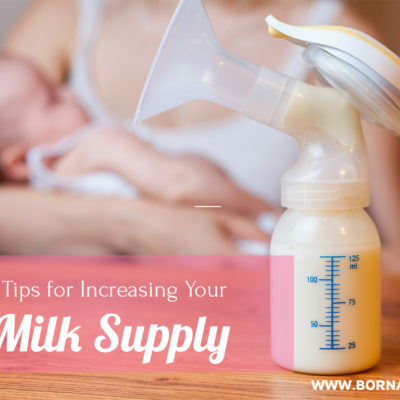 This allows many infants to cope better with milk flow. For some, position changes and applying baby to the breast after letdown help enough to get through the early days until mom’s supply streamlines. Mothers with more extreme oversupply issues may find these methods are not enough. Block feeding is usually the next recommended course of action. Instead of offering both breast with each feed, only one breast is offered per feed or for a set period of time. By limiting feeds to one side we are decreasing demand to the breast by spacing feeds out on each side. Ultimately, this will decrease milk production. Block feeding is best executed with the support of an IBCLC to ensure we don’t over correct supply and end up limiting milk production. The downside to block feeding is it can take some time for the mother’s body to reabsorb unused milk in the breast. This is further exacerbated by the fact that mothers are often already engorged. An engorged breast will have a stronger faster let-down continuing to be a problem for baby. This can be discouraging for a mother whose infant is already unhappy. This is why I LOVE a technique called Full Drainage Block Feeding. 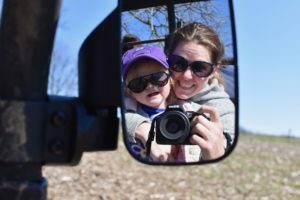 I used this technique with my second child and was surprised how well it worked to regulate my supply. 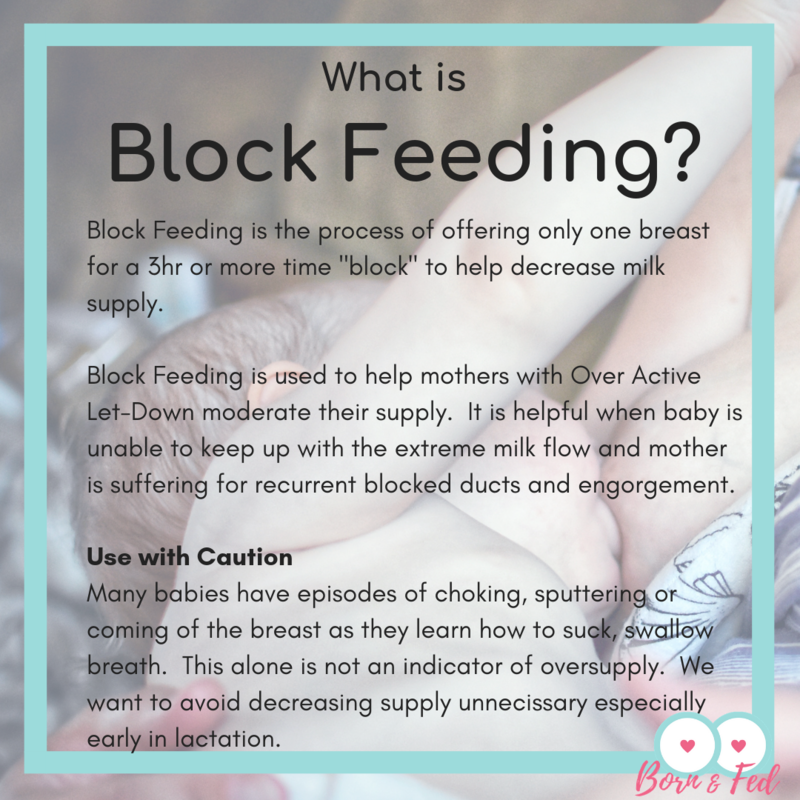 Full drainage block feeding starts by pumping both breasts until they are completely drained followed by initiating block feeding. For some moms, one pump session is enough and her body will regulate milk production before she becomes engorged again. If the breasts becomes engorged a second time, a second pump to empty session is performed and block feeding is recommenced. The idea is that by fully empting the breast, we are alleviating engorgement and discomfort for mom and it’s let-down side effects for the infant. One or two times of pumping to empty is not enough stimulation to cause an increase in supply. The results are much more immediate for mom and baby. 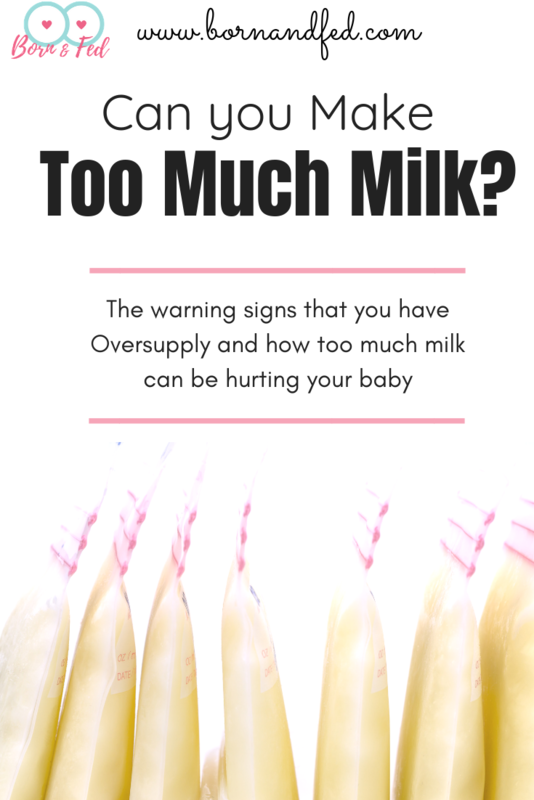 Any mom who has struggled with oversupply knows that there is such thing as too much milk. Unfortunately, many moms prematurely stop breastfeeding because they do not know what the problem is or how to remedy it. Personally, I was on the verge of quitting multiple times with both my children. My kids started out as awesome breast feeders in the hospital. It was not until my milk came in and I was on my own that I found myself alone and down a rabbit hole with seemingly no way out. If this article is hitting home, reach out to a lactation consultant. You are not alone. If your goal is to exclusively breastfeed; YOU CAN DO IT! I hope this article sheds some light for you! Agreed, pumping before every feed is a real grind. I did that with my first for a long time until my supply regulated itself. With my daughter, I was desperate to make a change early on to “prevent” the issue from reoccurring. While it didn’t prevent my oversupply, I a felt like I was able to manage it early on with the full drainage block feeding. I still had to be really vigilant about my letdown. If my daughter looked like she was floundering I would immediately remove her and hand express into a towel. With full drainage block feeding, I was really able to get things under control quickly. My daughter had pretty severe reflux and was still a “colicky baby” but I was really confident at that point that oversupply was no longer to blame. Hope the article was helpful.